As most film fans know director Sidney Lumet died April 9th 2011 at the age of 86. Most film fans are probably familiar with his work and even casual ones are likely have seen or at least heard of some of the films he directed that would eventually become “classics”. Not too long ago I was rewatching a handful of Lumet’s films. Every few years when I revisit 1976’s Network I enjoy it more and more. The film seems to get more and more eerily prophetic with the passage of time with its portrayal of the cutthroat race for television ratings and faceless corporations. As Peter Finch’s unstable news anchor Howard Beale is screaming and ranting his classic line, “I’m mad as hell and I’m not going to take it anymore!” and becoming a ratings juggernaut – a fact that his network will easily exploit – over thirty years later the antics of Charlie Sheen and the exposure he’s getting seems like a surreal update. Lumet always seemed to be true lover of filmmaking and his philosophies he learned from his early television work served him well when he ventured into films. He detailed what he learned in his 1996 book Making Movies. A very interesting read for any film lover and demonstrates the continued enthusiasm he had for telling a good story. I strongly recommended him to watch Lumet’s 1975 film. The idea of watching an “old film” didn’t sound too appealing. The Brooklyn-ite finally relented when I said it was set in Brooklyn, New York. Later in the week I saw him again, told me he watched it and loved it. Looking up Lumet films I had never seen before I finally watched 1965’s The Hill starring Sean Connery. Set in a British military detention camp in the Libyan Desert, with a battle of wills being fought by the guards and prisoners it didn’t seem like a typical Lumet film, but I really enjoyed it and Connery was great in it. 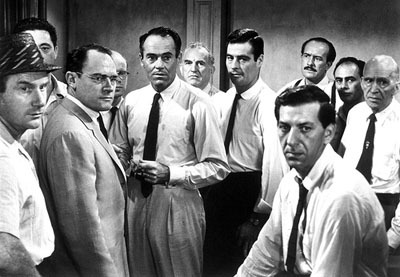 Connery made five films with Lumet. 1971’s Anderson Tapes has always been a film that I thought, although dated with its ancient surveillance technology and some pretty flamboyant performances, is still an entertaining heist film. I’m still anticipating a modernized remake of it at some point. 1989’s Family Business was a misfire with a great cast. 1972’s Offense and 1974’s Murder on the Orient Express are the remaining Lumet/Connery films I have yet to see. 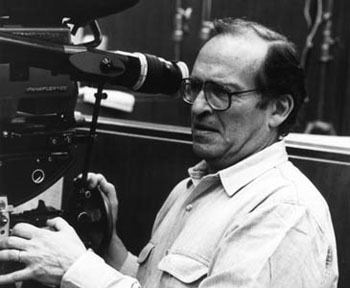 Lumet was widely known as that ‘New York’-director. The setting of the city would not only become a random setting, but a character in his films. His last film 2007’s Before the Devil Knows You’re Dead was once again set in New York and which I personally thought was another great addition to add to Lumet’s directing resume that started way back with his first film 1957’s 12 Angry Men, which still remains one of my favorite films. "The Offence". About as intense and unsettling two hander you'll ever likely to see with Sean Connery. If you liked "The Hill", you'll like it.